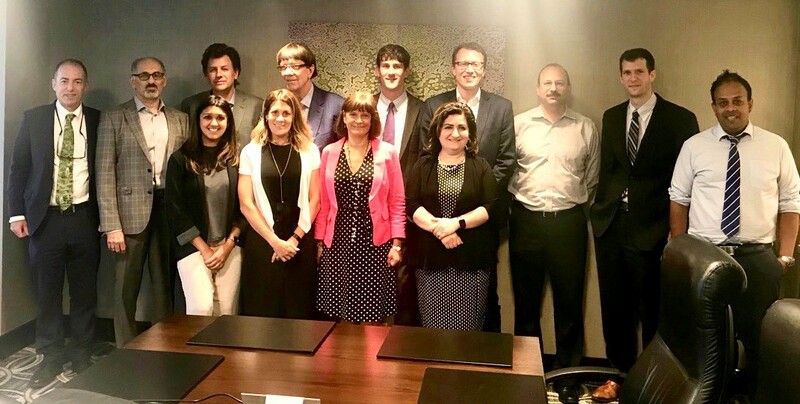 The members of the FSR Clinical Studies Network met on June 29th in Chicago, Illinois to determine and plan the next CSN Core Study as well as identify opportunities for additional Elective Studies via industry. Members traveled from all across the US, as well as internationally from the Netherlands and the UK. The meeting was facilitated by FSR’s Executive Director Ginger Spitzer and Research Manager Noopur Singh. The 2018-2020 FSR-CSN will facilitate various innovative studies and trials for high-impact results for patients! Front row, left to right: Noopur Singh of FSR, Ginger Spitzer of FSR, Lisa Maier of National Jewish Health and Nadera Sweiss of University of Illinois College of Medicine at Chicago. Learn more about the FSR Clinical Studies Network.